In Kenya, the ostrich considers himself an elephant. He always spends time with these animals and even takes care of the baby elephants. It all began in 2014. 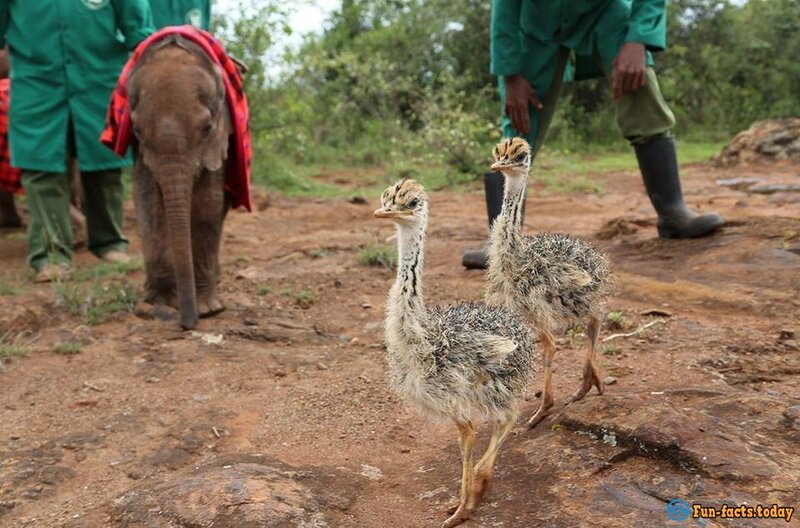 Employees of the organization The David Sheldrick Wildlife Trust (DSWT), which is engaged in the care of wild animals in Nairobi, arrived to save an orphaned baby elephant but found near it two ostriches - also orphans. The birds were taken to an orphanage for elephants and called Pea & Pod. Pod after some time went to live with the wild ostriches and Peas left with baby elephants. As it turned out, the Pea is a girl. She constantly spends time with them and feels herself an elephant. 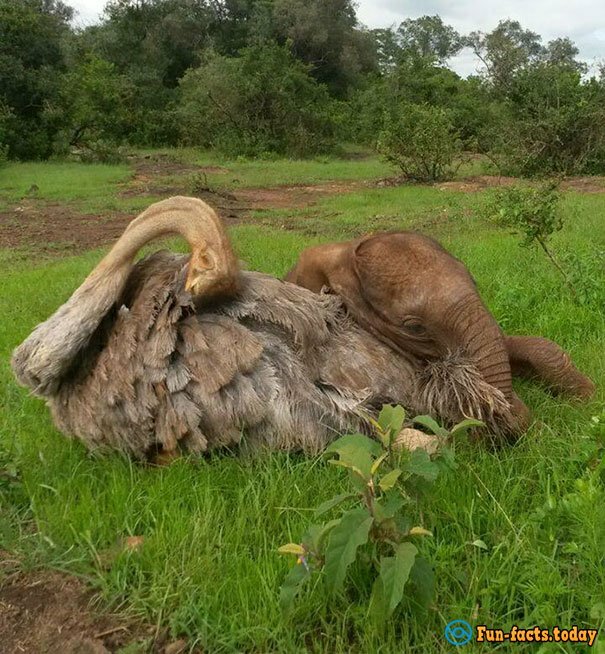 Now ostrich and elephants even rest together. However, on the night Pea goes to sleep in a safe enclosure.